It is the Design/Construction Team’s responsibility to conduct and manage an adequate and thorough Clash Detection process so that all major interferences between building components are detected and resolved before construction. The Design/Construction Teams aim to reduce the number of changes during construction due to major building interferences to zero. The BIM Manager assembles a composite model from all of the model parts of each design discipline to perform a visual check of the building design for spatial and system coordination. Vertical shafts are also be reviewed to ensure that adequate space has been allocated for all of the vertical mechanical systems (including access space for service and maintenance) and that all of the shafts line up floor to floor. Prior to each scheduled coordination meeting, an updated Clash Report is issued by the BIM Manager to the technical discipline consultants. The approach to coordination/clash detection depends on the project. On a multistorey project the models may need to be split on a level by level basis for Mechanical Electrical Plumbing Fire service (MEPF) coordination. If a floor is particularly large, it may also need to be split by zones to reduce the file size. Typically, 3D clash detection/coordination continues on a single floor until building systems are fully coordinated, and then continues on the next floor up. Coordination software is used to assemble the various design models to electronically identify, collectively coordinate resolutions, and track and publish interference reports between all disciplines. The technical disciplines are responsible for updating their models to reflect the coordinated resolution. The team reviews the model and the Clash Reports in coordination meetings on a regular as-needed (generally weekly) basis throughout the design phases until all spatial and system coordination issues have been resolved. During the construction phase, the accuracy of fabrication models are verified. Prior to each fabrication submittal for approval, fabrication contractors submit their models to the Contractor’s BIM Manager for integration and clash detection/coordination and resolution. Internal Clash Resolution: Design Consultants and Subcontractors who are responsible for multiple scopes of work coordinate the clashes between those scopes prior to providing those models to the BIM Manager for spatial and system coordination. Modelling complex building systems such as formwork and scaffolding to improve planning, construction productivity and safety. Modelling to improve constructability and erection times through the design of modular construction components suitable for off-site construction. Any additional fabrication models generated by subcontractors. 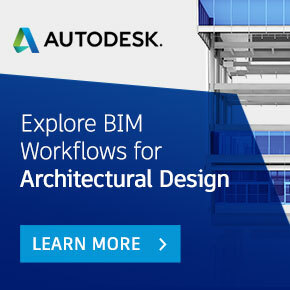 For design work that includes sequencing of renovation swing space or master planning for long-term build-out, BIM 4D is used to illustrate the phasing plan to interact, communicate, and get approval of the final design and spatial sequencing with the building occupants. The Contractor links BIM to the project schedule as a communication method to coordinate with the building users and the Facility Manager, where one has been appointed, on logistics that affect existing building operations or require shutdown of any affected facilities and utilities. The animated phasing plan addresses such issues as swing space during construction, parking interruptions, and re-routing of pedestrian/vehicular traffic, or any other construction work that could affect building operations. It is recommended that the Contractor also use BIM – 4D in schedule planning and communication with the subcontractors and to understand the impact to the construction schedule of other changes during the duration of the project. Use 4D BIM to model permanent and temporary on-site facilities, equipment and material locations and movements, including deliveries for planning purposes and to communicate on-site activities to site personnel and building occupants. The model can be used to plan engineered lifts, ie. the lifting of large or heavy building components and assemblies into place. Lift plan models can be created through collaboration between the structural engineer and experienced site personnel such as the lift supervisor, and used to communicate the lift plan to those involved in its execution. A 3D model communicates the plan clearly to site personnel who may not be proficient in English or in reading 2D plans or written instructions. Location of cranes, hoists, rigging, etc. Location of lifting team members. Pick up and set down areas. Lifting paths and load rotations.